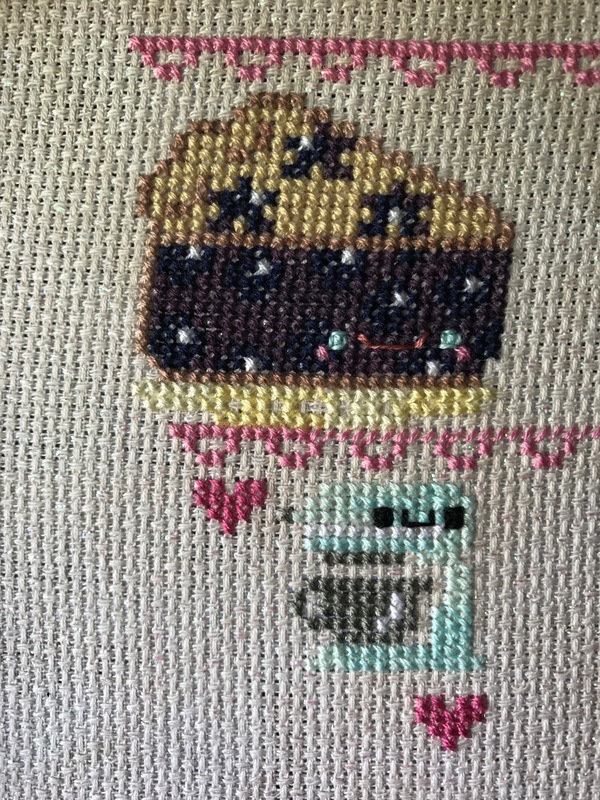 The blueberry pie is stitching up super quickly, and I’m also working on some of the frame and nearby extras, like the adorable stand mixer and bowl. I couldn’t resist picking up some blueberries at the farmers market so I just might make the blueberry pie recipe soon! 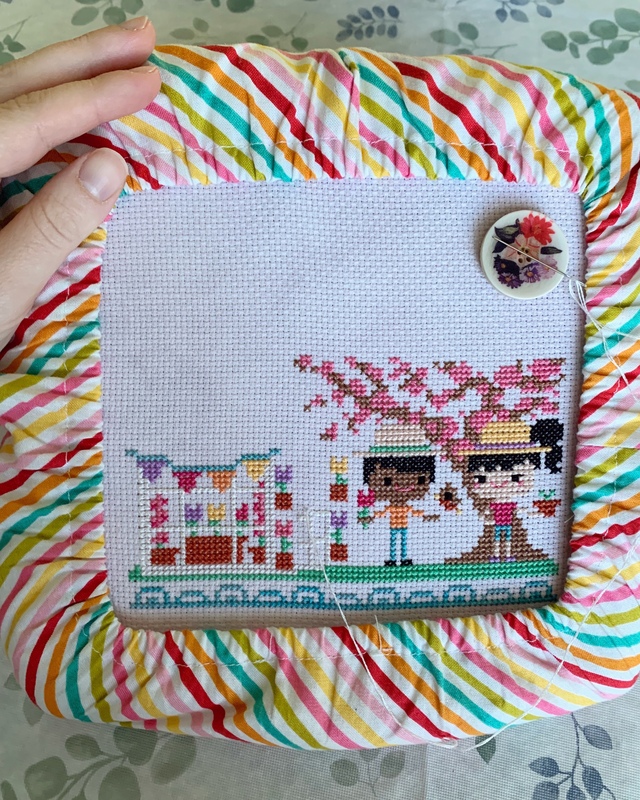 I’ll probably come to a stopping point today and pick up the Sandy Orton Summer Sampler again this weekend. 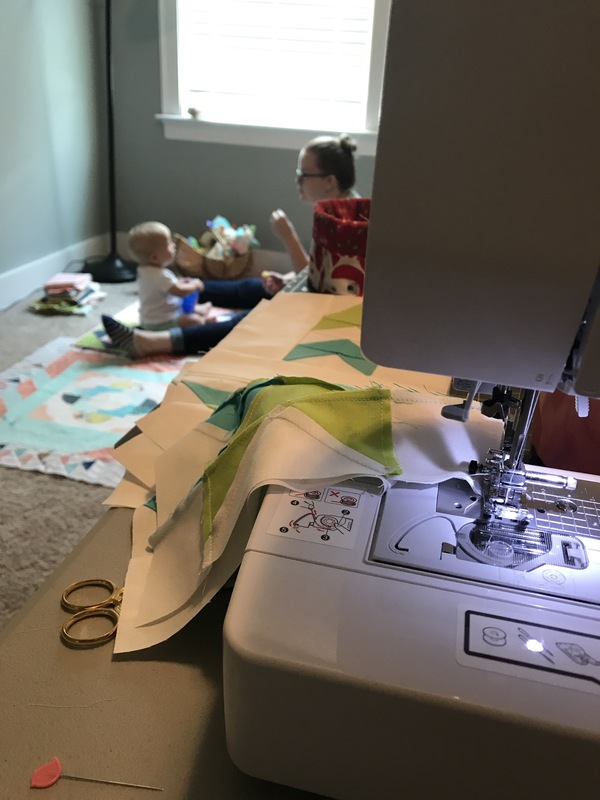 I had another Sew Day yesterday and made great progress on Libby’s Round Robin quilt. 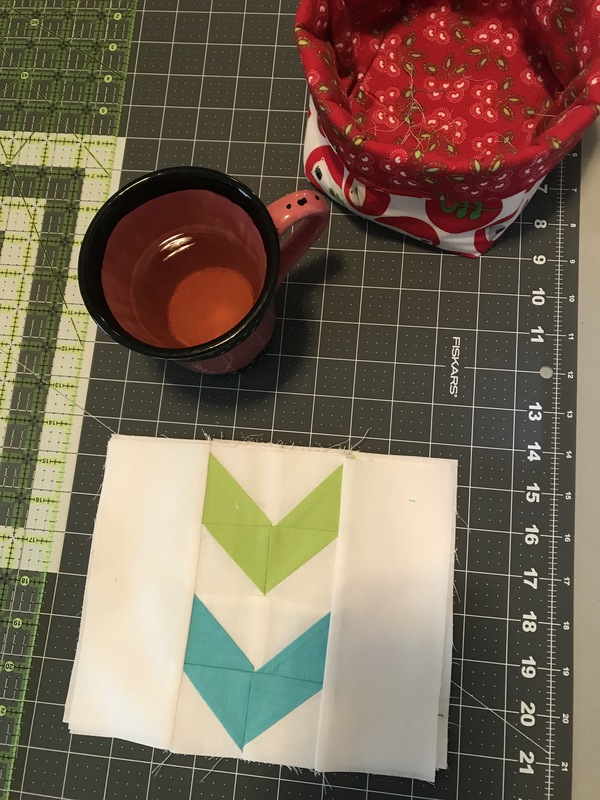 I wanted to add more white space in my round, so I made four HST stars with green and aqua solids, and used leftover triangle scraps to add arrows to each border. 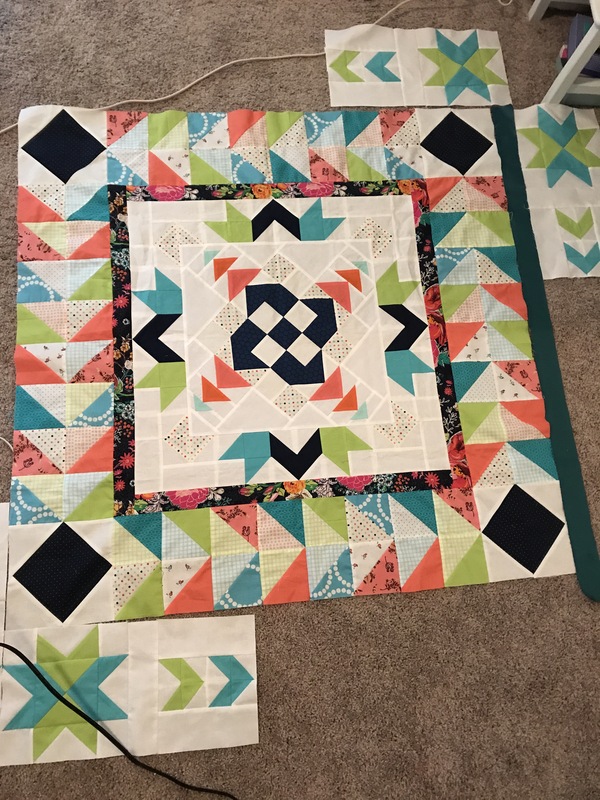 I love how the bright colors from each round modernize the traditional blocks.